Former White House Press Secretary Josh Earnest has offered his own explanation for President Trump's controversial tweet claiming that he had been wiretapped by his predecessor. 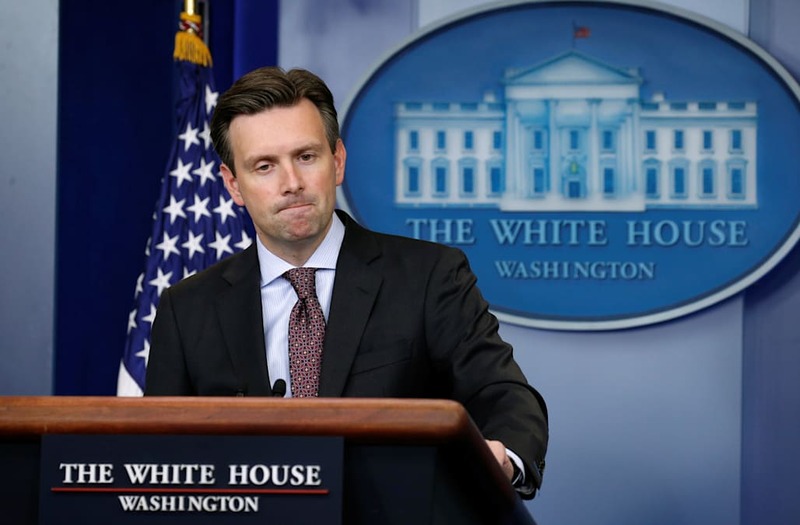 Earnest told ABC News' Martha Raddatz Sunday on 'This Week,' "We know exactly why President Trump tweeted what he tweeted. Because there is one page in the Trump White House crisis management playbook. And that is simply to tweet or say something outrageous to distract from the scandal, and the bigger the scandal, the more outrageous the tweet." He also explained that Obama could not have ordered a wiretap because, in his words, "The President of the United States does not have the authority to unilaterally order the wiretapping of an American citizen." The discussion was prompted by a series of controversial tweets Trump posted Saturday, the first of which read, "Terrible! Just found out that Obama had my 'wires tapped' in Trump Tower just before the victory. Nothing found. This is McCarthyism!" He also tweeted, "How low has President Obama gone to tapp my phones during the very sacred election process. This is Nixon/Watergate. Bad (or sick) guy!" According to ABC News, "Trump offered no proof for his claims." However, the White House has since said Trump is asking for an investigation "to determine whether executive branch investigative powers were abused in 2016." Meanwhile, Obama has denied any such activity, with his spokesman Kevin Lewis saying in a statement, "...neither President Obama nor any White House official ever ordered surveillance on any U.S. citizen. Any suggestion otherwise is simply false."